Today we mark four years since the murder of our friend and colleague Salwa Bugaighis. Four years since one of the brightest lights for democracy and equality was extinguished. Four years without #JusticeForSalw, without a proper investigation and prosecutions for this terrible crime. At the time, we said that if activists and human rights defenders like Salwa faced aggression, then no one could feel safe. This was proved tragically accurate. The use of threats, violence, and even murder as tools to silence women have continued to be used in Libya. The killing of politically and socially active women like Fariha Al-Berkawi and Intisar Al-Hasiri followed the assassination of Salwa. We must call these crimes what they are. 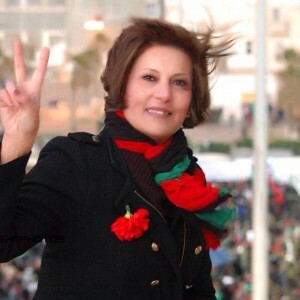 The killing of Salwa Bugaighis and subsequent political violence are crimes against humanity. They are literally, and they are figuratively too. Salwa was an advocate for humanity. She was so intelligent, so charismatic, so passionate and ambitious for Libya and for Libyans, so full of life. Still four years on, I cannot comprehend how much the world lost when we lost Salwa. The attack on her was an attack on humanity itself. Treating the crime as such shows a way that we might finally get justice for Salwa. Libya’s transition has always had an international dimension. 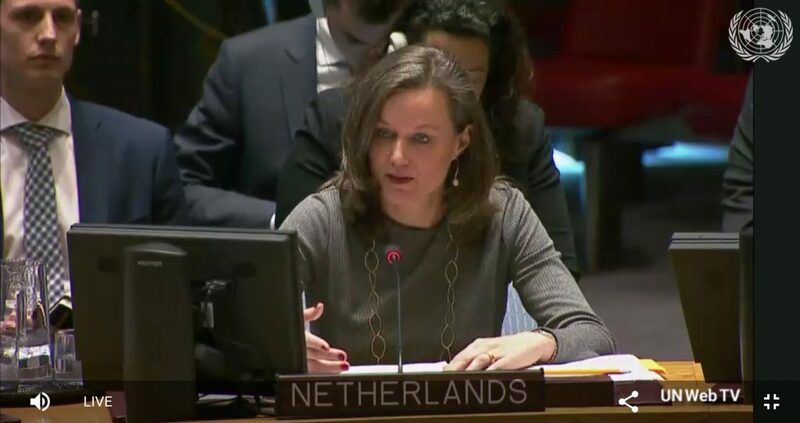 From the UN Security Council asserting the responsibility to protect in Libya, to the application of the “democratic toolkit”, to the continuing work of the United Nations mission. Many of the problems that Libya now faces stem from mistakes made at international level, so while the international community has a responsibility to Libya, it must be exercised carefully so that does no further damage. Libya’s culture of impunity – as exemplified by the failure to prosecute the murders of high-profile women like Salwa, Fariha and Intisar – is something that the international community can usefully address. The International Criminal Court has an open investigation into Libya. The murders of women politicians and activists must be considered under their jurisdiction. 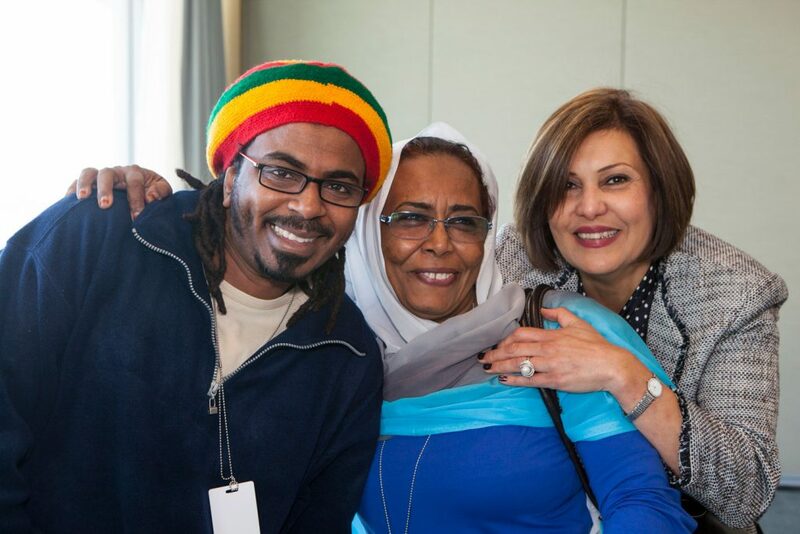 Salwa was murdered as she returned home from voting in the last national elections to be held in Libya, hours after calling on friends and supporters to “fight peacefully by using your vote”. This was an assassination designed to strike at the heart of Libya’s developing democracy. The political motivations were absolutely clear. International investigations, prosecutions and accountability can bring an end to the impunity that sees murderers walk the streets and human rights defenders live in fear. That is why we made the call that justice for Salwa is justice for all. We thank the many politicians, policymakers and activists who have added their voice to the #JusticeForSalwa campaign over the last four years. Salwa continues to inspire us. Today, we remember her especially, but we do not stop from carrying on the work for which she gave everything. The way to honor Salwa’s life is to fight for justice, equality and dignity, across the region and across the world. That must be her legacy.